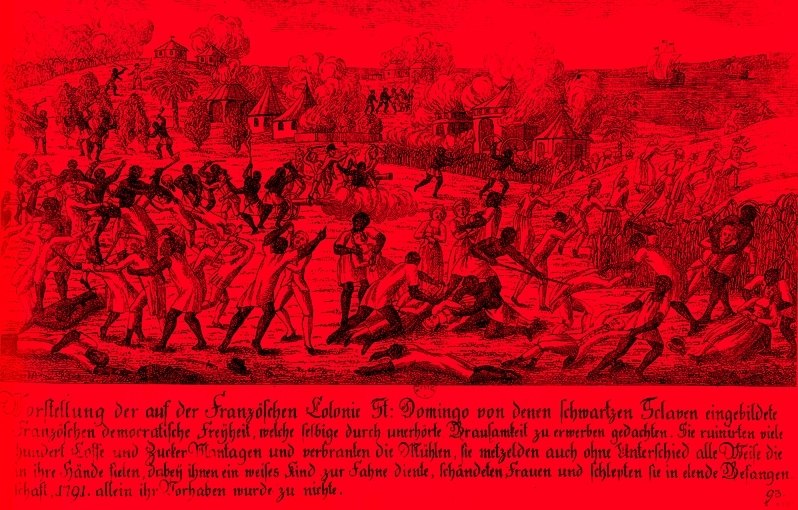 The Haitian Revolution, possibly one of the most important and overlooked, revolutions of the world appears to have been written out of Western history. We welcome projects that both memorialise, and challenge the memorialization of, the Haitian Revolution. We are looking for alternate narratives to the Slaves Revolt. We invite complex readings of the leaders as well as alternate histories from below. We encourage non-binary, queer, surreal and magic versions of the slaves revolt. We ask for historically reflective, contemporarily comparative and future speculative projects which use the Haitian Slaves Revolt as a starting point. The 6th Ghetto Biennale 2019 will take place from the 29th November until the 20th December 2017. All works must be made and exhibited in Haiti. Artists and curators will be invited to pass, no less than ten days and up to three weeks in Haiti before presenting their work in the neighbourhood. The deadline for proposal applications is midnight Sun 28th April BST and our decisions will be made and announced by mid-May. Applicants for the 6th Ghetto Biennale 2019 must provide a written synopsis of their project proposal covering conceptual background, methodology, and a production and exhibition strategy for the proposed new work in no more than 500 words. The whole proposal should take up no more than one sides of A4 including illustrations. This should be accompanied by a one page CV. Both documents should be formatted as a pdf and named SURNAME_FORENAME_PROJ & SURNAME_FORENAME_CV. We will not accept any proposals or CVs longer than one side, no attached images and neither will we accept website links as a proposal component. Please keep in mind that we are looking for works that will be created during the three-week period in Port-au-Prince, Haiti. We are not looking for work that is already created. We welcome projects that may require collaboration with local artists and would be able to help connect artists beforehand. There is no funding for this event and you will be expected to cover the cost of your flight, accommodation and materials. We will supply a reading list, there is a film about the Grand Rue sculptors on-line and we will be more than happy to help (via email) with any research and information needed, both before your application and leading up to the event. Advice can also be given about the practicalities for the production of specific projects and budgeting for the trip. If your work involves intensive interviews we will advise you to budget for your own translator. Artists should be aware that Haiti has only a 50% literacy rate and text heavy projects could be problematic for the local audience. We will organise all hotel bookings and airport pick-ups. The Ghetto Biennale site remains a lens-free zone for none-Haitian artists but there will be a photographer on site to document the projects at the end of the event for anyone needing images for documentation. But we are relaxing the lens-ban to accept film and photographic project proposals for works made in other areas of the city outside of the site. Thank you to our volunteer translators Patricia Verdial (Español), Nelta Kasparian (Français), Yuk Yee Phang (官话), Anya Dorofeeva (русский), Priscilla Mountford (Português), Laurie Richardson (Kreyòl) Cat Barich (Deutsche), Ariadni Liakis (Ελληνικά) and more. Order a copy of the Ghetto Biennale catalogue here. Watch film ‘The Sculptors of Grand Rue’. For more information about Atis-Rezistans visit their website. Check out the project archives of the previous Ghetto Biennales.